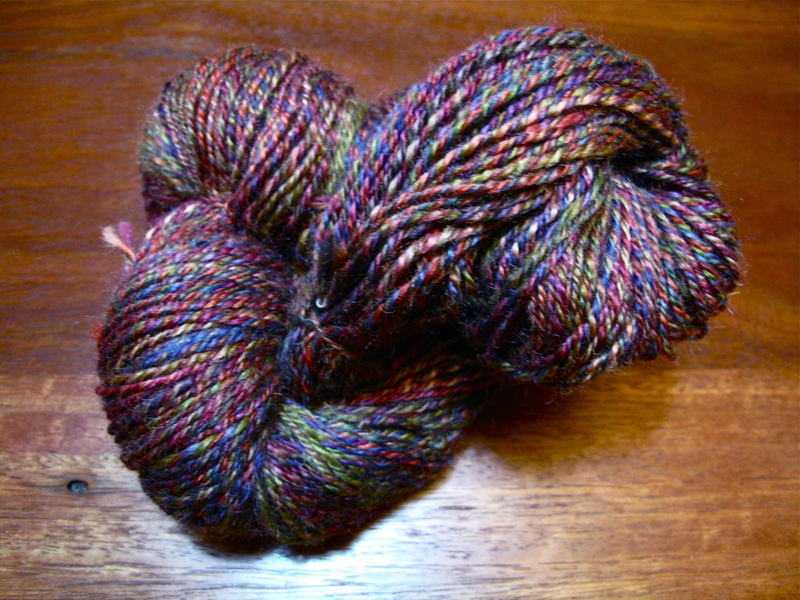 I still consider myself a novice at spinning. 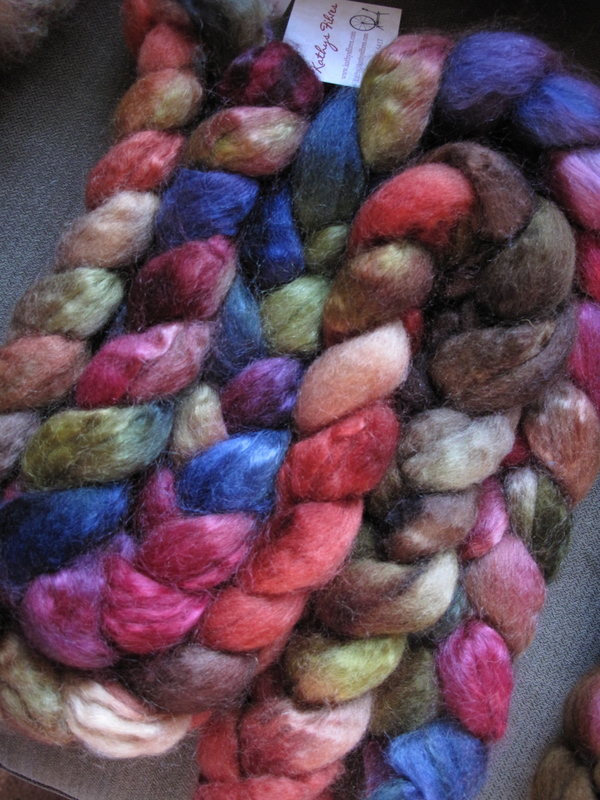 I have found the joy of spinning is when plying and finishing a yarn and having the feeling that perhaps, maybe perhaps, this yarn is probably the best thing I’ve ever spun… so far. The joy is when this happens on a regular basis (which is not always the case). I can’t wait to turn this into ‘Vanilla’ Socks. 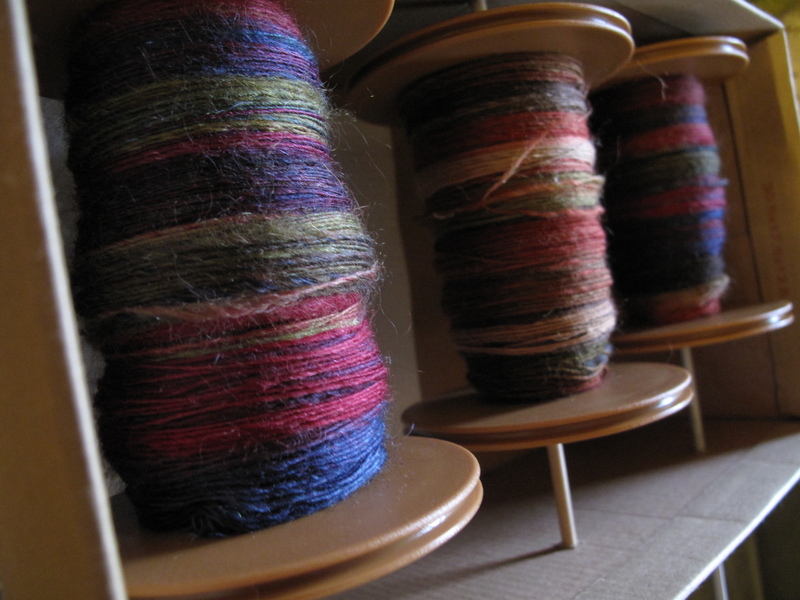 My bobbins are now clear for The Thylacine’s Sock Fibre Spin/Knit along. I received my first installment this week, and I have to say I wasn’t disappointed. I know a few of you have already started, I would be super impressed and full of hate envy if anyone shows up with finished socks on Monday night. But then again, it’s going to be a wet weekend. 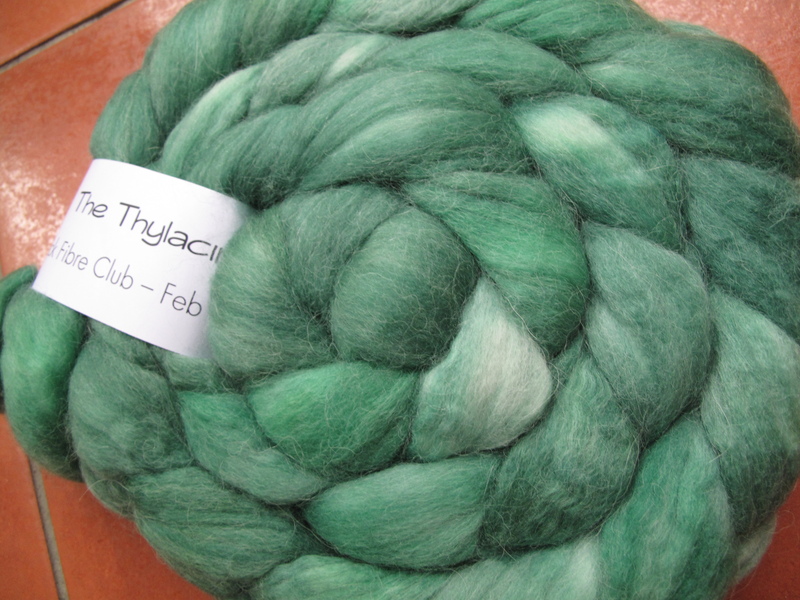 Oh my, I can’t wait to see your yarn in person on Monday it looks absolutely gorgeous. novice? I don’t think so!! !